The study concluded that 93 percent of the bottles tested were contaminated with plastic debris. The debris included material used to make bottle caps such as nylon, polyethylene terephthalate (PET) and polypropylene. 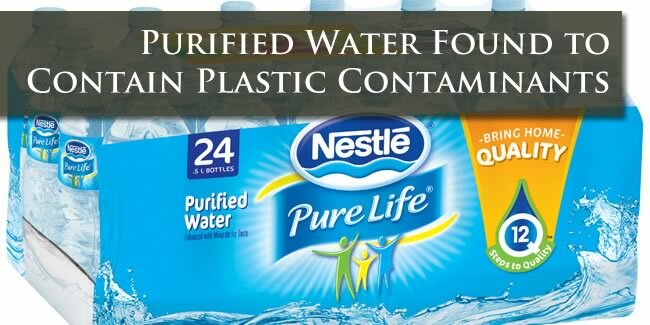 In one case, a bottle of Nestle Pure Life Purified bottled drinking water was found to contain more than 10,000 pieces of microplastic per liter of water. If you have purchased and consumed bottled drinking water in the last few years, you are urged to contact Audet & Partners, LLP for a free, confidential case evaluation to determine whether you may have a claim as part of a bottled water lawsuit against the manufacturer. You can contact us either by completing and submitting the inquiry form on the right side of this page, or by giving us a call at (800) 965-1461.